Mr. Clarence Lee “Bob” Jernigan, 85, of Dunn died Sunday morning March 24, 2019 at Transitions Hospicecare in Raleigh. 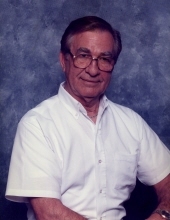 Mr. Jernigan was born May 23, 1933 in Harnett County son of the late Hubert Jernigan and Lydia Jackson Jernigan Hodges. He was also preceded in death by his step-father, Zola Hodges former owner of Zola’s Barbecue in Erwin; brother, Charles Jernigan and sister, Mildred Moore. Mr. Jernigan was a US Navy veteran of the Korean War, member of the Eno Masonic Lodge in Durham and the American Legion Banner Post 109 in Benson. He had retired from Wachovia Bank and had owned and operated BSB Storage in Erwin. A memorial graveside service will be held at 11 a.m. Saturday, March 30, 2019 at Pleasant Grove Church Cemetery with Pastor John Hill officiating. He is survived by his daughter, Somar J. Dougherty and husband Brian of Pittsboro; four grandchildren, Asa James Dougherty, Abram Josiah Dougherty, Amos Job Dougherty, Ayzic Jonah Dougherty; nieces, Teresa Jernigan, Cindy Doiron, Diana Staton, Phyllis Jernigan; nephews, Charles Jernigan, Jr. and Rocky Jernigan. The family will receive friends 6-8 p.m. Thursday at Skinner & Smith funeral Home. To send flowers or a remembrance gift to the family of Clarence Lee "Bob" Jernigan, please visit our Tribute Store. "Email Address" would like to share the life celebration of Clarence Lee "Bob" Jernigan. Click on the "link" to go to share a favorite memory or leave a condolence message for the family.